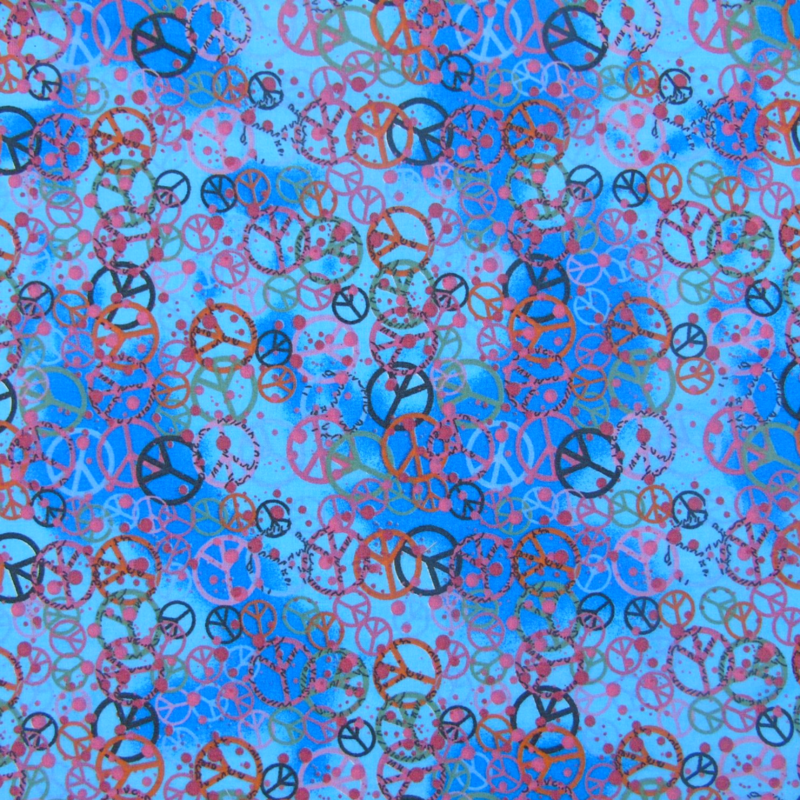 This is a striking blue Peace themed 100% cotton print. The fabric is a lovely shade of mid blue, incorporating the internationally recognised symbol for peace in darker shades as well as warm tones of orange and pink. Made up as a Droolbuster this design is perfect for Dudiedogs who want to show that they care about the environment and World peace, and all things eco! It looks particularly good when combined with the Royal Blue or Orange Terry Towelling options. Droolbusters are a perfect and practical accessory for any dog that drools. They are available in 6 sizes.